Powered by a 9-axis motion sensor, as found in the latest military-grade and gaming technologies, to measure and record your precise movements. Real-time audio coaching for running, cycling, cardio boxing, and body weight (Moov 7 Minute+) during your workout. Modular design allows Moov to be worn on your ankle or on your wrist for more accurate measurements. Two Moovs can be worn for Cardio Boxing to track each hit. ***Compatible with the latest Moov one App released in November 2015 for both iOS & Android! 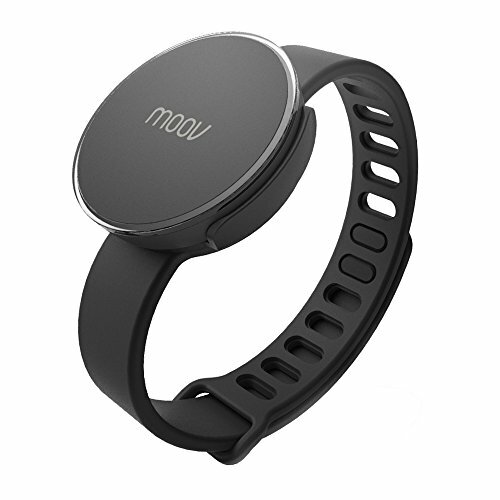 ***Moov is a wearable fitness coach for multiple sports that actively monitors your tendencies​, advises you on how to get the most from your workout, tracks your progress, and motivates you to achieve your fitness goals. Moov’s coaching philosophy is based on combining workout efficiency and results with a passion for fitness and a desire to keep improving. We believe the best way to get results is to enjoy the journey of achievement. Fitness is personal, and we want working out with Moov to be a personalized experience, targeting how you move and where you want to see improvement. Moov programs seek to find your limit, whether it be endurance, power, strength, or cardio and push you to improve. Our coaching method accelerates the path to these goals by creating workout efficiency through intensity, intervals, form, variety and individualization.